These two pictures were taken around new years 1988. This represents a part of an old gang of friends from the early 80's in Columbia, Maryland. We hung out from around 1981 to around 1983 as a "what's goin' on tonight?" bunch of bored suburbanites. 20 years later none of us hang out anymore, but we more or less keep tabs on each other. 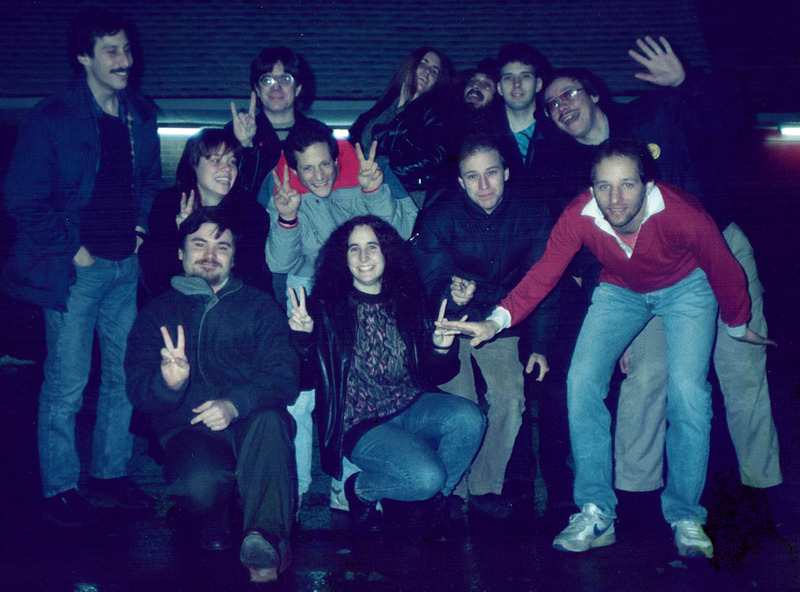 This was our last official reunion, 1988 in Columbia. 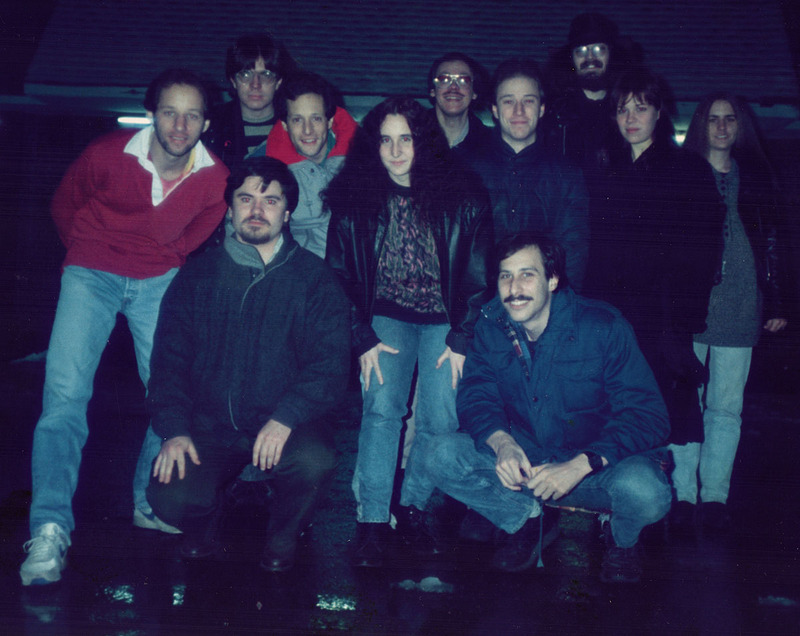 From left to right: Greg Grant, Darryl Dardenne (front), Laura Anders (Canis) (behind Darryl), Drew Eisenhauer (round glasses, behind Laura), Ira Hankin (next to Laura), Rebecca Kerewsky (in front of Ira), Alex's wife Cherie, Alex Crain (picking up Cherie), Bob Glicker (in front of Alex), Doug Alan (behind Bob, from Boston, but he was a regular visitor), Gregg Mackler (glasses, not officially part of the "gang", but a tag-along that night), Ken Hankin (in front of Mackler). Laura Anders Canis died in the Spring of 2006 from suicide - an apparent severe case of PMDD. Gregg Mackler died in 1997 at home, apparently from choking to death on some food or candy. Alex Crain died in April 2010, from an apparent suicide. Alex was the first to go AWOL from the group - around 1983. I was in contact with Laura until around 1994. With Darryl until 1996. With Bob Glicker until 1993. I was friends with Gregg Mackler until he died in 1996. The only person I'm still regularly in touch with in 2007 is Doug Alan - but Laura's death put me back in touch with Drew, Ira and Rebecca.